60 x 80cm Oil on canvas, gold box frame with a cream inner frame. 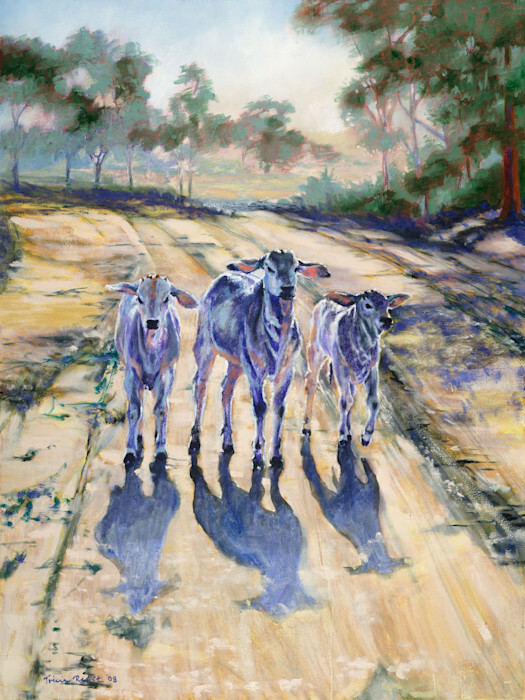 These three were walking along this road when I was driving one morning, out the back of Bourke. They halted like naughty truanting school children when they were photographed. I chose the purple and yellow palette as a background to the promise of a day too beautiful to spend cooped up with others.